The most powerful computer ever built in the United States will make its home at Argonne National Laboratory in 2021, the U.S. Department of Energy and Intel announced today. Aurora, the United States' first exascale computer, will combine unprecedented processing power with the growing potential of artificial intelligence to help solve the world's most important and complex scientific challenges. As an exascale computer, Aurora will be capable of a quintillion—or one billion billion—calculations per second, 50 times quicker than today's most powerful supercomputers. But the impact of the system goes beyond faster and larger data processing to new frontiers of scientific inquiry, supercharging modern artificial intelligence approaches for finding new cancer treatments, searching for dark matter, mapping the human brain and other massive breakthroughs. 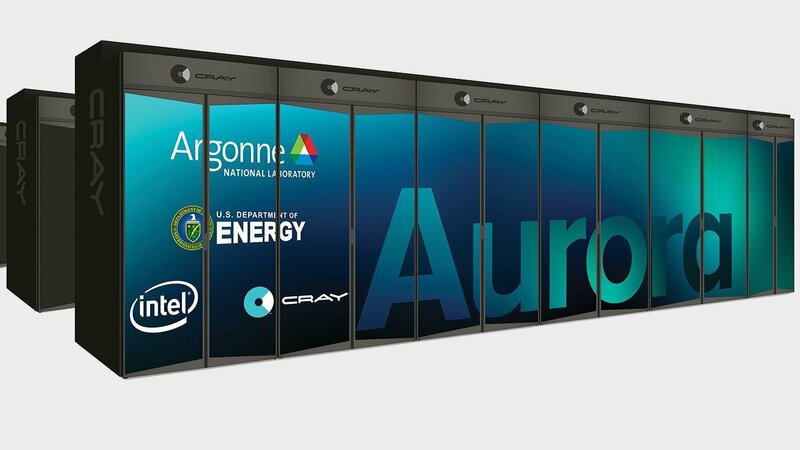 Upon delivery, researchers will be able to use Aurora through the leadership computing facilities at Argonne, a U.S. Department of Energy laboratory operated by the University of Chicago. "The evolution of large-scale computation and the emergence of artificial intelligence as an effective tool are creating growing potential for transformative discoveries in many fields, including medicine, engineering and physics," said University of Chicago President Robert J. Zimmer, the chairman of Argonne LLC, which operates the lab for the U.S. Department of Energy. "Bringing Aurora to Argonne will provide researchers here and those from around the world with an exceptional resource for scientific inquiry and the development of critical future technologies."